Explore the vast Martian landscape with a variety of vehicles. Take place among as one of the best space trading companies and expand your fleet by hiring professional drivers. Earn money by either trading goods or complete special missions. Use your earnings to upgrade your vehicle and hire mercenaries to assist you on dangerous missions. A large game world, realistic physics with 3D graphics and a wide variety of vehicles to choose from. Your goal is to become the owner of the biggest transport company on Mars. 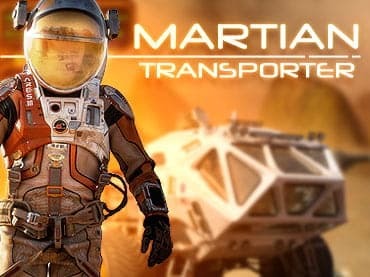 If you have questions about Martian Transporter game, please contact us using this form.